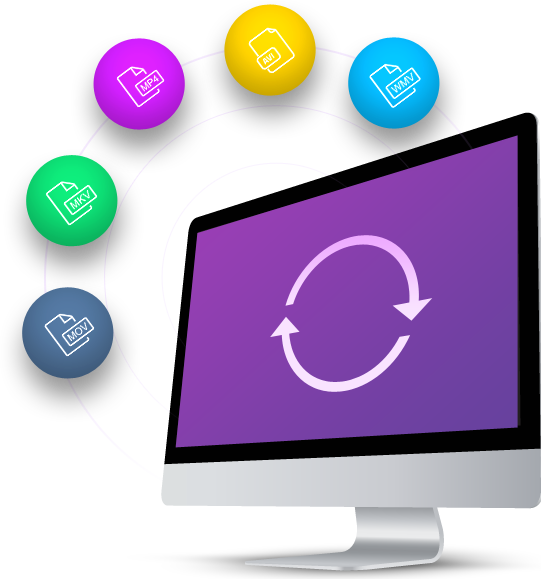 Video Format Converter supports to convert videos/audios into a wide range of output formats. 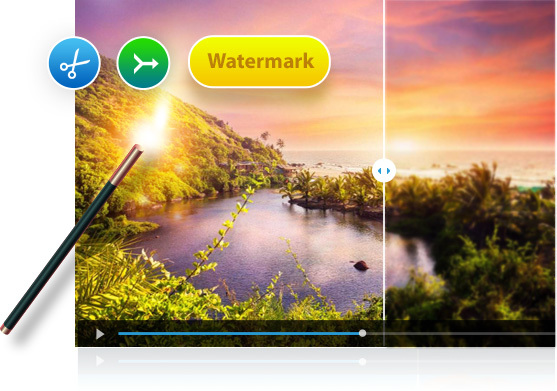 You can also customize video parameters like frame size, width, height, bitrate, etc. Video: MP4, MKV, MOV, AVI, WMV, M4V, HEVC, H.265, 3GP, FLV, SWF, DVD, VOB, XVID, ASF, MTS/M2TS, AVCHD, MXF, MOD, TOD, etc. Audio: MP3, WMA, M4R, M4A, AC3, AAC, OGG, WAV, FLAC, AIFF, DTS, etc. Device: Apple iPhone, iPad, Apple TV, Android, Samsung, HD TV, VR, Kindle Fire HD, Sony PS4, Xbox One, PSP, Insta360, etc. Total Video Converter also comes with advanced editing features, allowing users to join video clips, trim/crop video file, apply effects, add watermark/subtitles, etc. 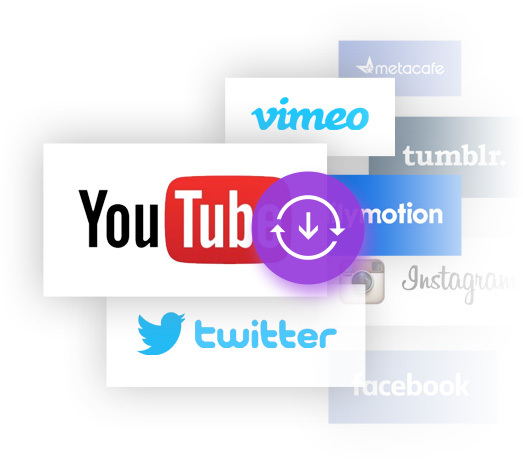 Download your favorite 4K/HD videos from YouTube, Facebook, Instagram, Twitter, etc. and convert them to compatible formats for playback on TV, smartphone or other devices. Burn any video to blank DVD or Blue-ray disc and play it on any DVD player. Also, free DVD templates are provided. Direct transfer your video creations to popular devices like Apple iPhone, iPad, Android Samsung, HTC, LG, Sony, Google, Huawei, etc. in the format of your choice. Compatible with over 1,000 video formats including 4K UHD videos. You can easily convert videos to 4K format for playback on 4K UHD TVs. Video encoded with HEVC maintains high visual quality and smaller file size, then you can enjoy both faster converting speed and higher video quality. Optimized with NVIDIA CUDA, NVENC and Intel HD Graphics hardware acceleration, Total Video Converter can convert videos 30 times faster than traditional converters. 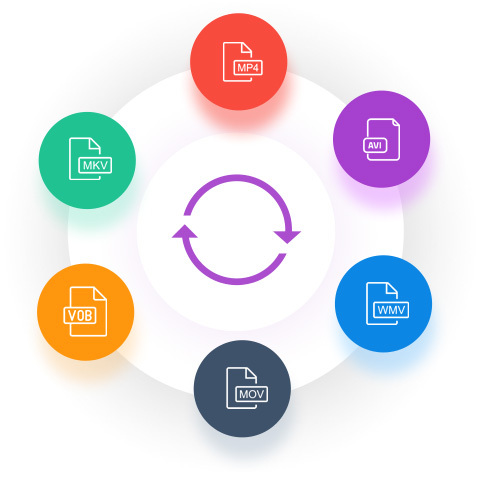 With super easy and intuitive user interface, in only 3 steps, you can convert your favorite movies and preserve 100% of the original image and audio quality. "I have purchased and used Total Video Converter with great success. It is an excellent product, and the free support and update are a wonderful bonus!" "Been using Total Video Converter Mac for several months. Really great product and easy to use. It has been such a great help to me, it is my software of choice in converting my videos." "Amazing program! I want to say thanks for your guys. It works great, make fast video conversions with no errors. Highly recommended." 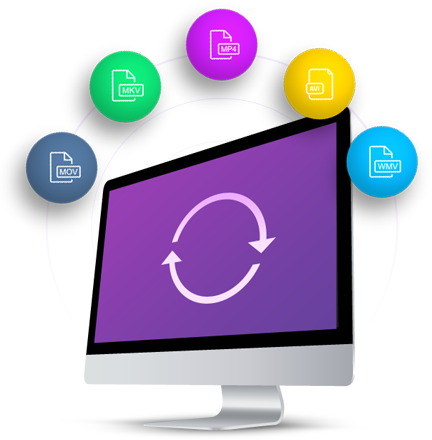 One-Stop Solution to Convert, Edit, Download, Burn Media Files and More.